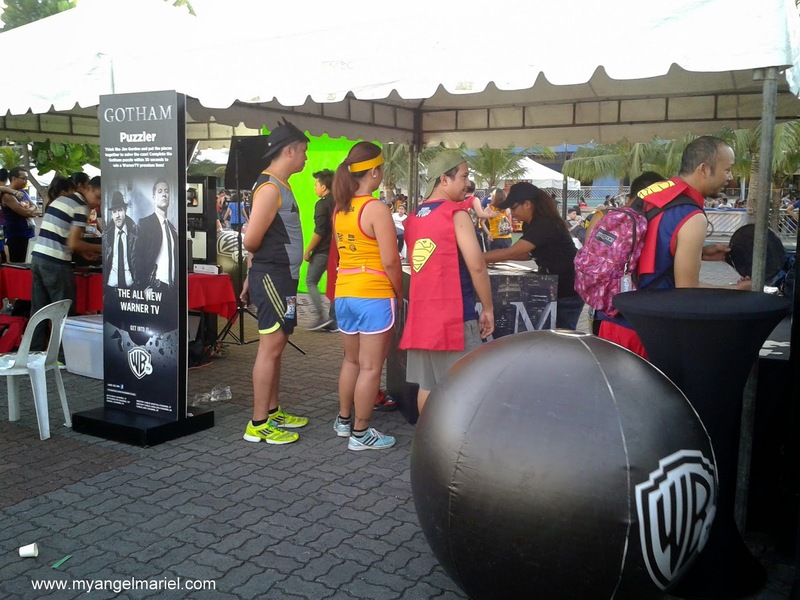 The nerdy Angel Mariel never thought that she could run a distance without running out of breath. 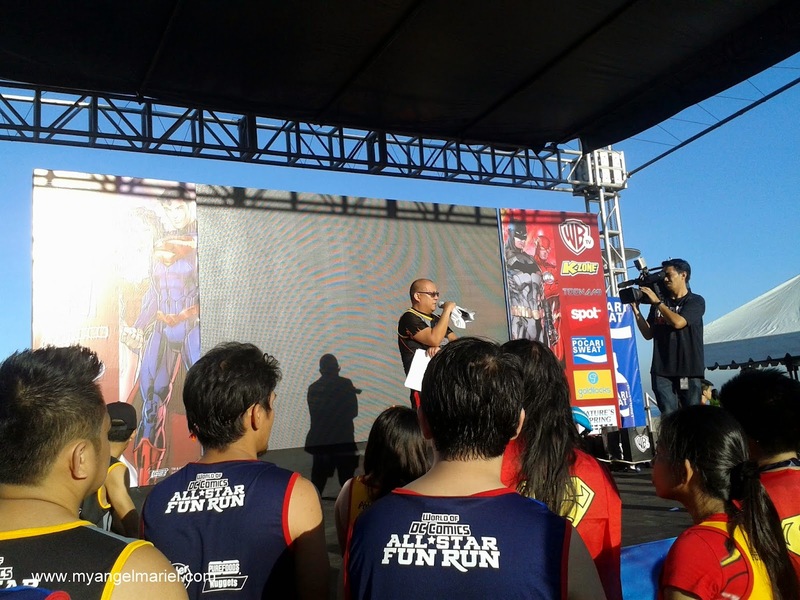 But the right motivation finally came when the ‘World of DC All Star Fun Run’ was announced. When I first heard the news, I wanted to sign up because, hey, it's DC Comics! However, I doubted because there's no way I could run. I tried to sign up for a fun run before, but the circumstances didn't allow me to push through with it. I'm not fit enough. I'm not sporty enough. 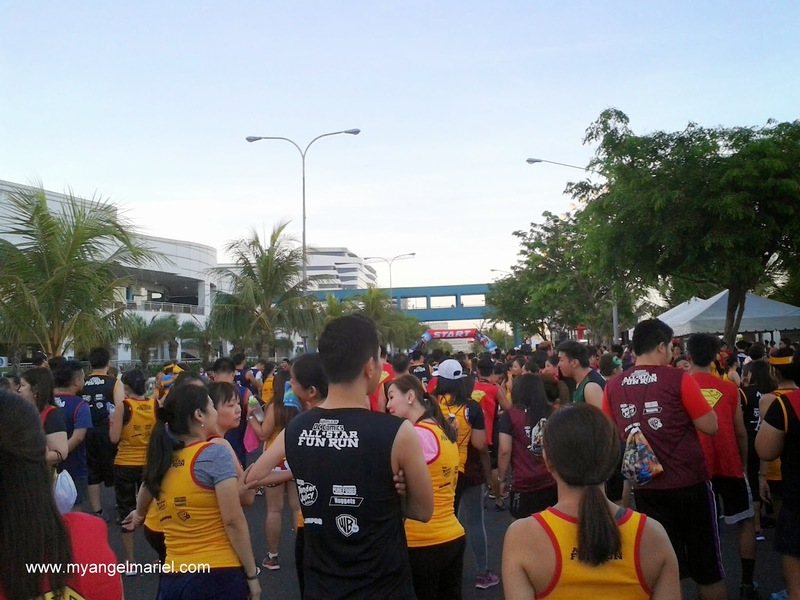 It all changed when my wonderful colleagues at work proposed that all of us in the office would join a fun run on June. 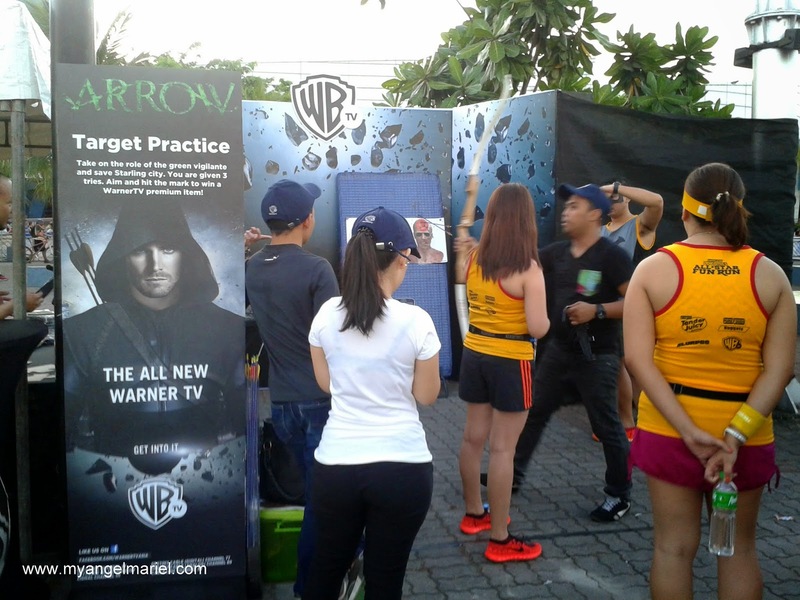 Well, they're all fit and they encouraged me to download an app and train for a 5k run. I stayed true to the training program and on April 18, it required me to run for two miles. Great! The World of DC All Star Fun Run had a 3k category, which is equivalent to 1.8 miles. 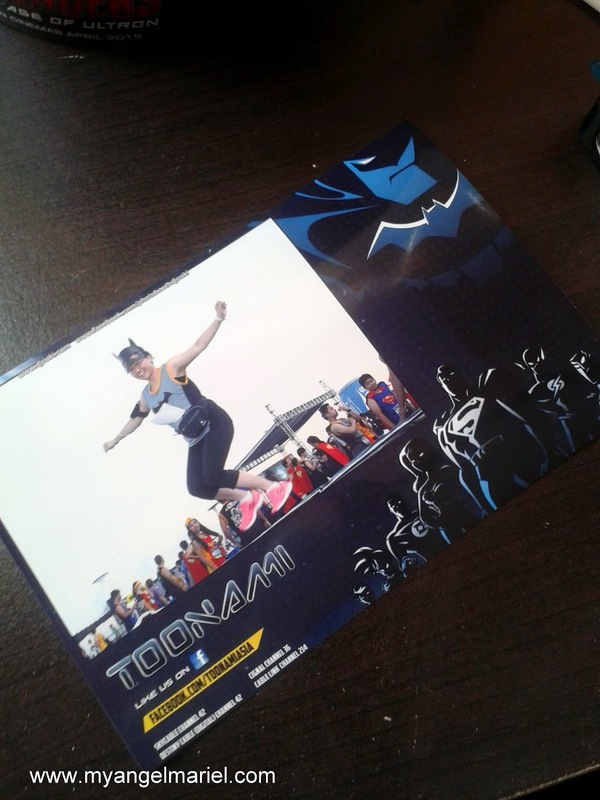 That made me finalize my decision to register for the event! Yay! 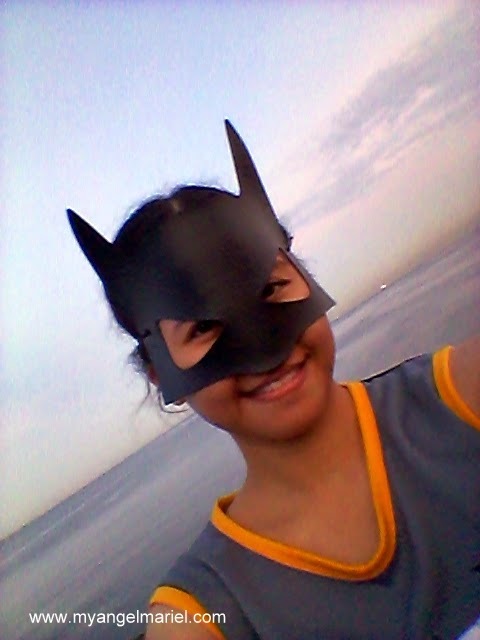 I chose the Batman racing kit. 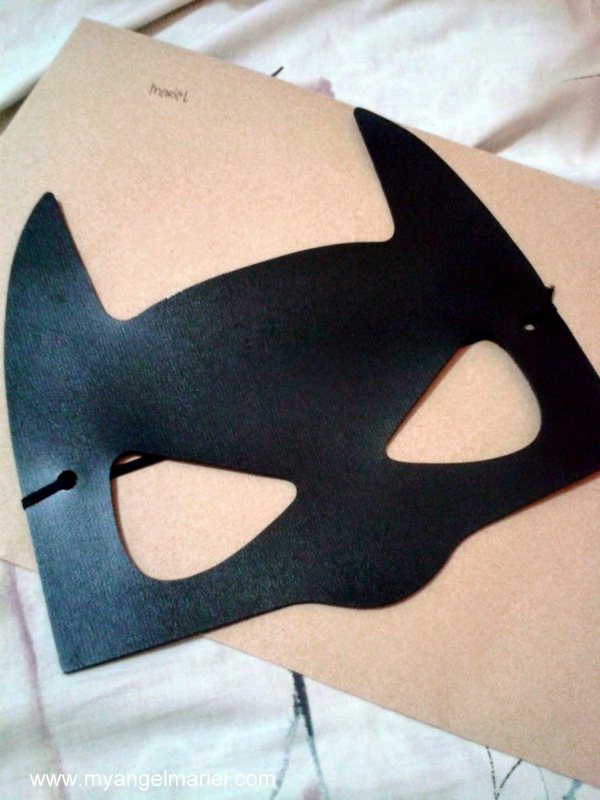 It came with a jersey with a bat logo and a batman mask. The Caped Crusader is my favorite superhero of all. He doesn't need mutations or alien powers to be somebody. All he needs is super high intelligence and a stellar bank account to boot. Hahaha! 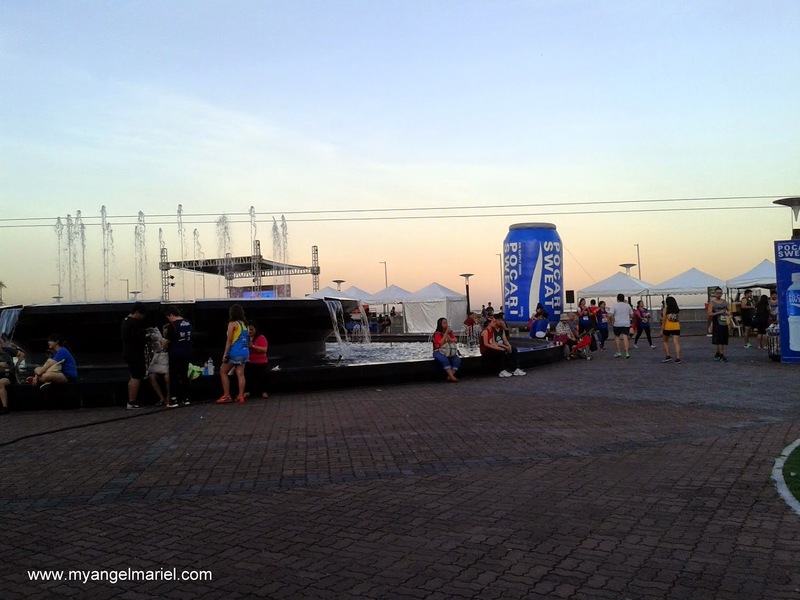 So on the early morn of April 18, I went to SM by the Bay to join my first ever fun run. 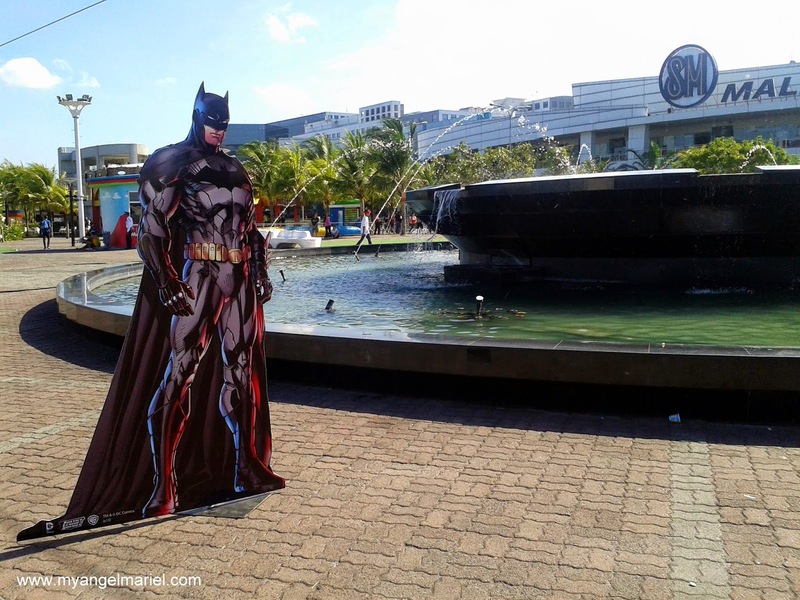 I never thought that the place would be decorated with superhero standees. A stage was at the center too. It was like attending a product launch at a mall. It is similar to the many events I went to. You know it because I share about it here in my blog. (^_^). 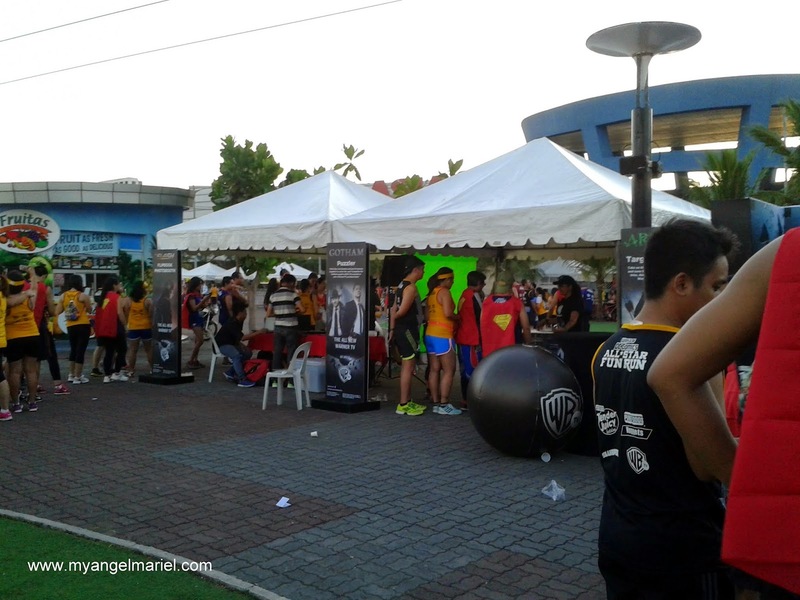 So for a change, I'm happy to write about the first fun run that I participated. 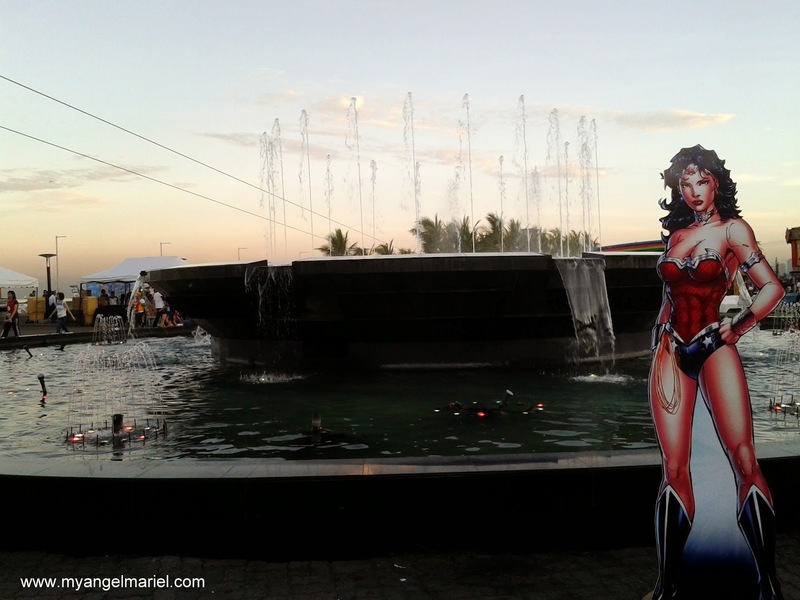 Ever wonder what Wonder Woman would be like on sunrise? Gorgeous! The place had a lot of happenings! Me on full gear! Perfect serene bay as background.. 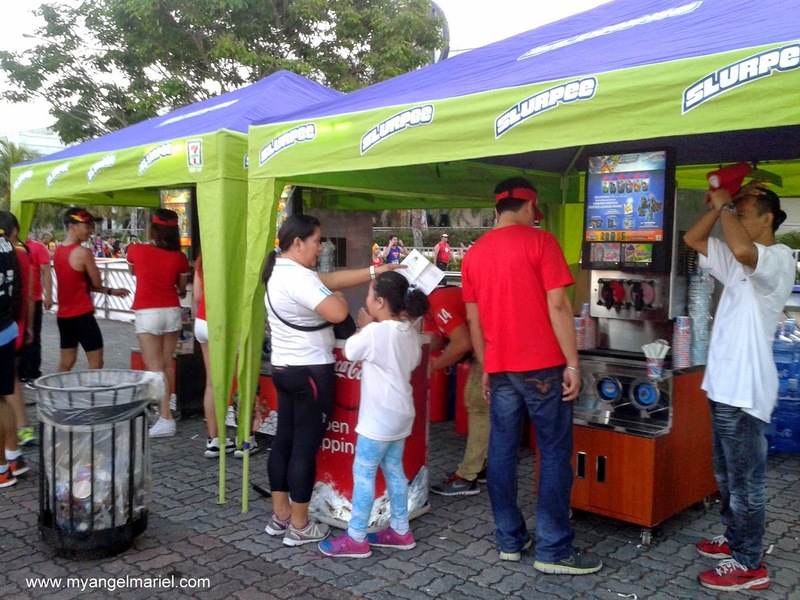 There were numerous food and game booths lined up as well! I smelled freebies at the sight of 'em! Yes! The Gotham booth had puzzles for everyone. Of course there's a photobooth, too. 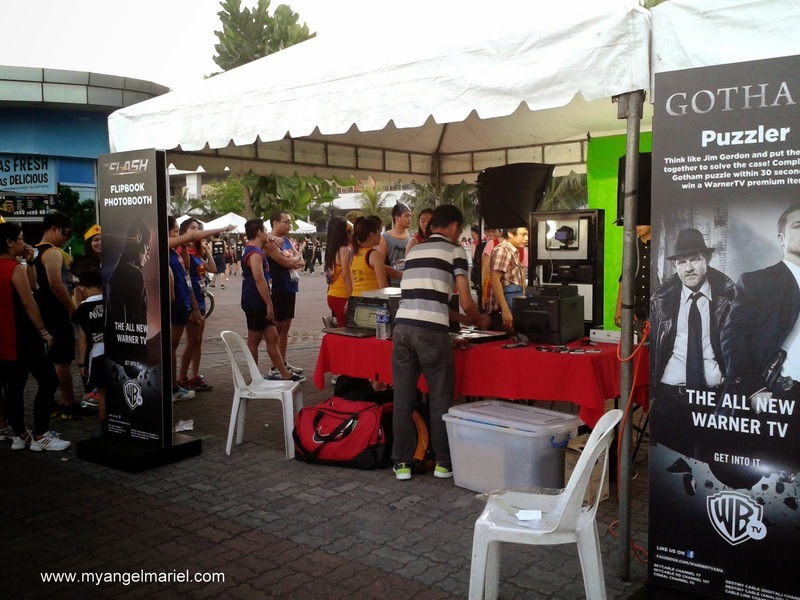 At exactly 6:00AM, the starting shot was fired and we started running! Wheee~ Though for me, it was more walking than running. Hahaha~ The good news is that I didn't hyperventilate anymore. So the training must've worked on me. I finished the run at approximately 30 minutes. Yay! 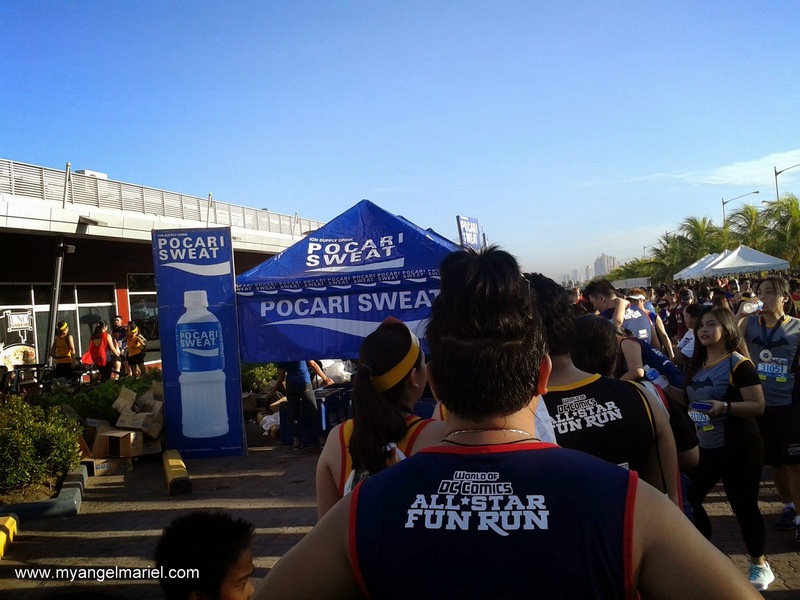 After the finish line was the Pocari Sweat booth. 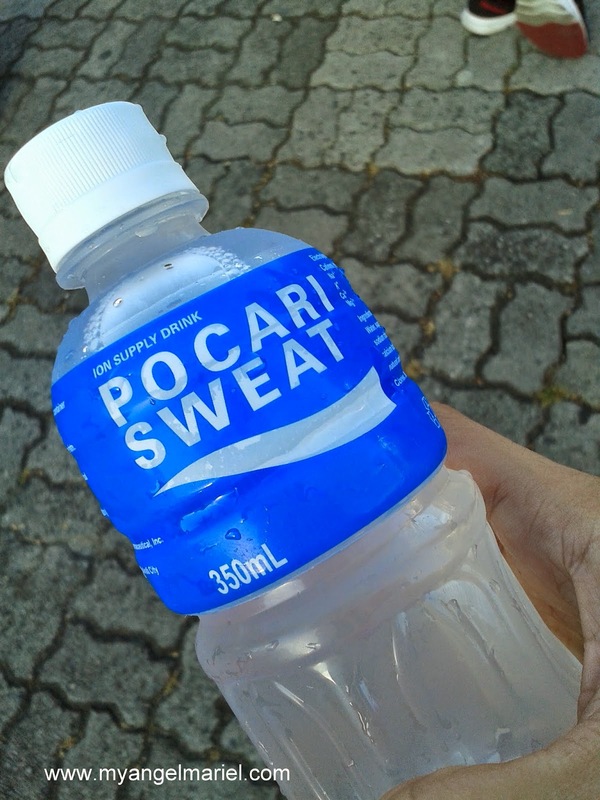 They gave out free bottles for runners! Sweet! These freebies make me want to run more! 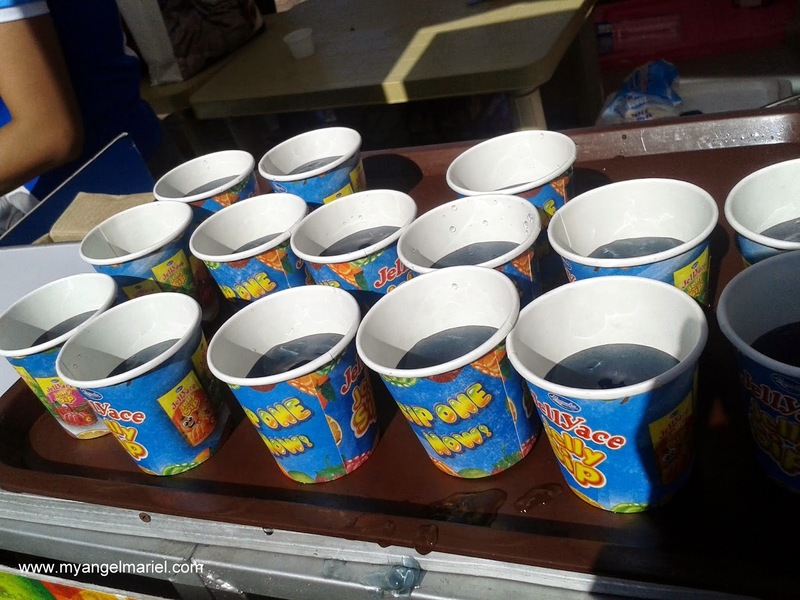 Lining up for free drinks! I found this experience really fascinating. 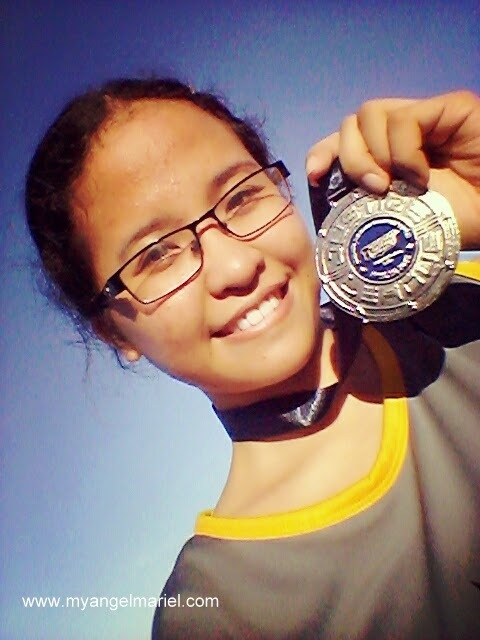 I used to think that running or any other sport was an impossible feat for me. And look, I was given a medal for it! Yay! What an achievement! I love what's written on the medal: I ran with the world's greatest heroes. Yay! I got a medal! Oh, but before I leave, here is my favorite photo... You guessed it! It just got to be Batman! I guess the nerdy Angel Mariel has a place for sports, after all. 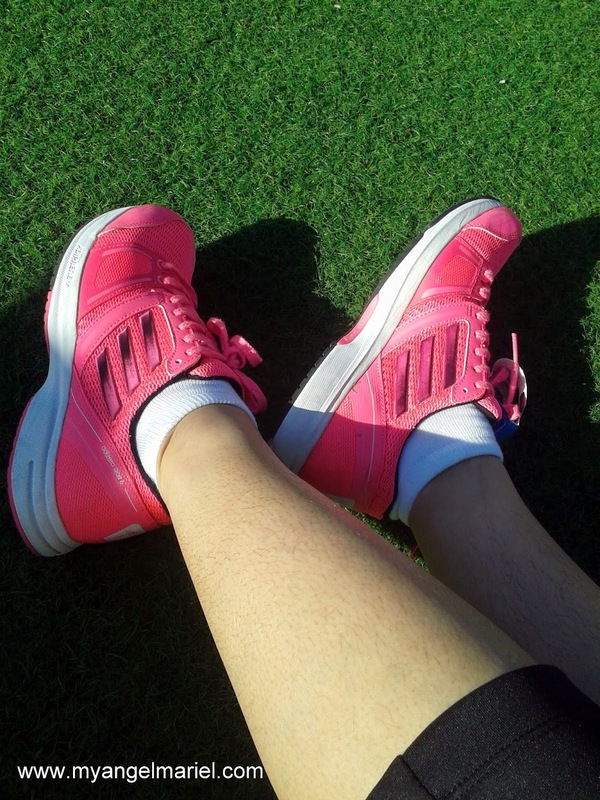 Now, me and my fabulous pink kicks are off to train for the 5k run on June. See ya! Oh, you're going to have so much fun at the 5K! I sign up for 5K runs whenever I can; that's my limit, though, don't expect me to run a half- or full-marathon, ever. Lol.